Sandal weather may be a couple months away, but with all the gorgeous sandals in stores now, it is hard to not want to buy a pair or two. Some of my favorite sandal styles out there now are those featuring rhinestone embellishments. This pair from Dolce&Gabbana is amazing, but come at a high price. 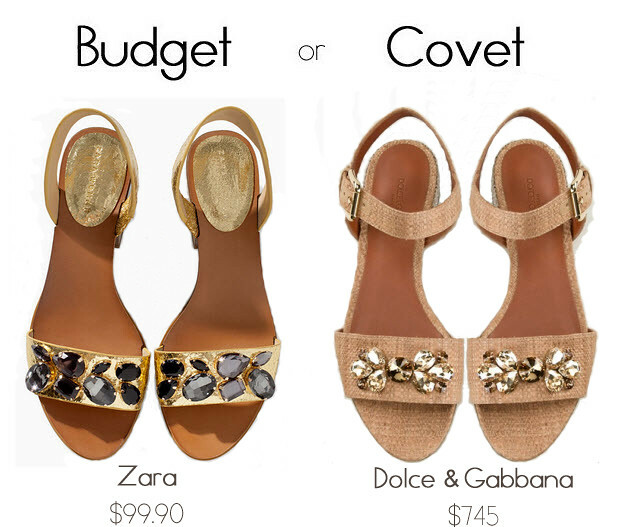 For a fraction of the price, Zara offers a similar sandal with the same style and appeal. Whether you choose to budget or covet, your feet will be bedazzled by these sandals.